Welcome to Dressing Room 10! Dressing room 10 is like no other dressing room I've ever seen before, let alone had the fortune of staying in for the duration of a show. In the break between Heathers transferring from The Other Palace to Theatre Royal, Haymarket, some of our lovely cast had the pleasure of working with Derek Jacobi who apparently lit up at the talk of the Haymarket. Apparently, he told them that "No dressing room will ever top dressing room 10 at Theatre Royal, Haymarket"...so I feel extremely lucky that Dressing Room 10 currently bears my name on its door! I did a little dressing room tour video on my YouTube channel but I wanted to do a proper "Things I Couldn't Live Without In My Dressing Room" blog...so here we are! 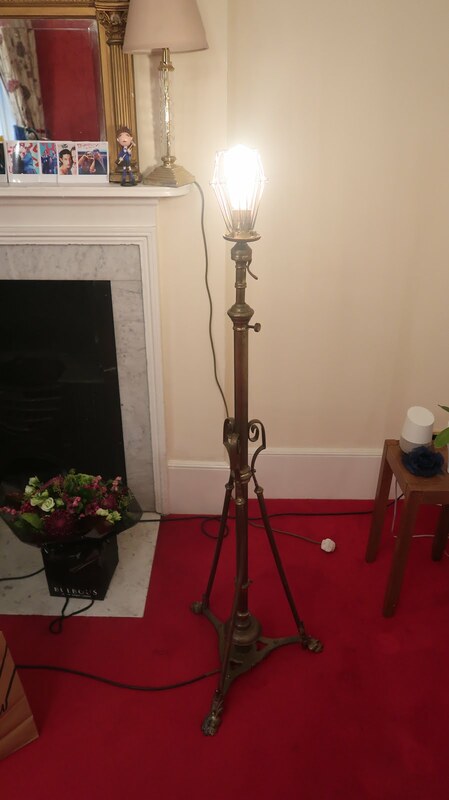 To start us off, let's talk about my favourite thing in the room: The Ghost Light. Derek Jacobi also passed along the message, "Whoever is in room 10, make sure they always turn on the ghost light before they leave". For those of you that don't know what a ghost light is, it's a special lamp that is turned on when everyone leaves the theatre to ward off evil spirits and ghosts (although some say it's for the ghosts of the theatre to hold their own performances which is much sweeter!). I've enquired as to how old my particular lamp is but no one, as of yet, can tell me. My guess is very! It's such a beautiful addition to the room and, upon Derek Jacobi's orders, I turn it on every night before I leave! Next, I'll move onto something much more modern: The Scrunchie Wreath. Part of the Heathers story involves scrunchies worn by the Heathers in their respective colours (however, in our version Duke, McNamara and Veronica all have ribbons/bows and Chandler is the only one who wears the coveted red scrunchie!). Due to this plot point, at the end of most performances during the bows, red, green, yellow and blue scrunchies rain down onto the stage, thrown by loving fans. The girls in the Heathers dressing room have taken to pinning theirs up on pin boards above their desks however, I was given the idea to create a wreath by someone on instagram...and that's exactly what I did. 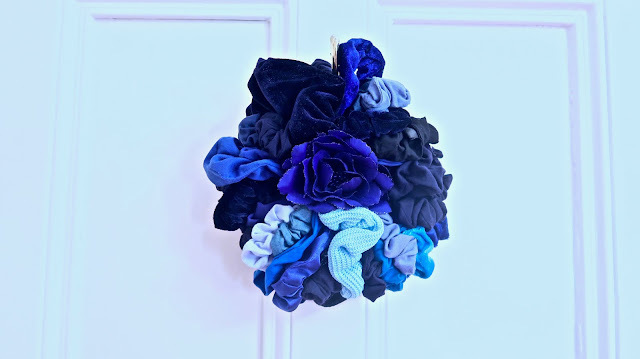 There must be well over fifty scrunchies by now and they just keep coming! Thank you to everyone that has thrown one so far! This is a wonderful keepsake for me to take after Heathers comes to an end on November 24th! The first place I go when I get into work, often before I've even taken off my coat and my bag, is the window ledge. 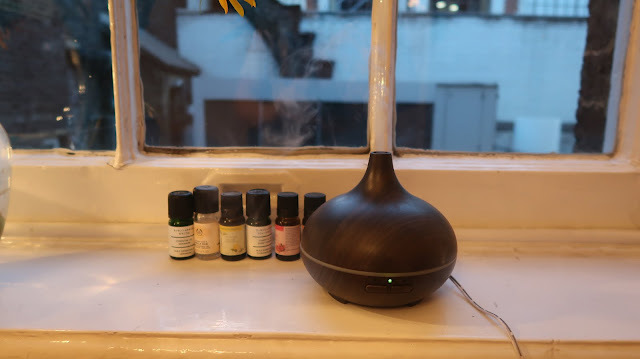 Sat upon it is my diffuser and a row of essential oils. The diffuser, I bought from Amazon during The Addams Family tour when one of my rooms had a particularly grim aroma. All you do is fill it with water, add a few drops of essential oil and off it goes for 1-3 hours. It also lights up all different colours, too! My favourite oils to use so far are Geranium and Sweet Orange. The smell sticks to my clothes so when I head to the stage, I get compliments on the "perfume" I'm wearing! Veronica is a big role that hardly ever steps off stage so the time I get to spend in my dressing room during a performance is limited. Writing parts of my book or editing videos has proved really difficult as the time needed to concentrate on those is far more than I often get during the performance. 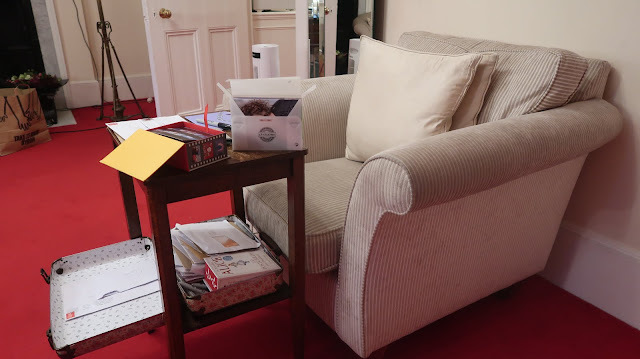 However, there is time in the interval to reply to one or two letters that arrive at the theatre or to my PO Box and there's a handy armchair and small desk in Dressing Room 10 that I have set up for exactly that. I have postcards (usually either Disney, Jane Austen, Alice in Wonderland or Puffin book covers! ), signed photos and origami hearts that go into the stamped and addressed letters provided by the sender. Even though my time is short during a performance, I still like to feel like I've managed to get something productive done, at the very least and so this is the perfect solution! The cuddlies! I'm very lucky to be in a position to have "fans" at all, let alone to be given wonderful things by said fans. Now, if you've followed me for long enough you will know that I ask people to spend their money on themselves or to donate to my charity pages instead of spending their hard earned cash on me. I don't need gifts. Just the fact people come to watch the shows I'm in or buy my books is more than present enough! However, sometimes that message gets missed or people ignore it and insist on giving me gifts, bought and homemade, which, of course, is extremely sweet and I am always appreciative. (I sometimes find it hard finding the balance between asking people not to give me gifts and yet still trying to show appreciation for the people that do). I have three cuddly toys that live on the bed (yes I said bed...there's a bed in my dressing room! 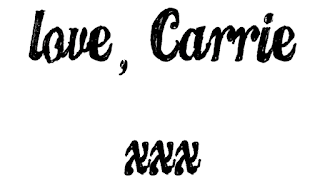 ), who bring me great joy! Dean the Dino, named after Jason/Big Bud, Bashana Bat (named by Charlotte Jaconelli!) who happens to come from Vampire, my favourite ride at Chessington World of Adventures and then the wonderful crocheted Veronica Sawyer! I wasn't able to get the names of the people who gave me Dean and Bashana however, the incredible crochet work came from Stiles Crochet! Having such a big dressing room to myself often gets quite lonely, so whenever there's a special occasion e.g. someone's birthday, a cast member leaving...a Tuesday...I invite the cast into my room for drinks. 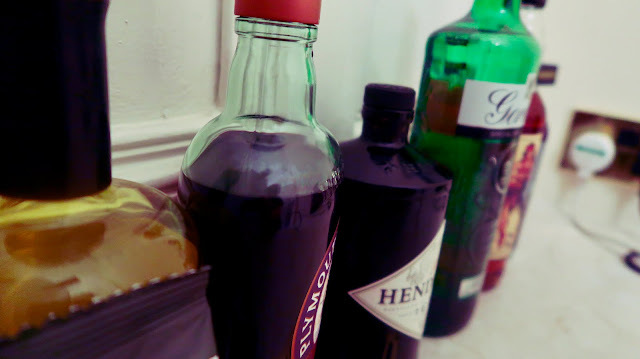 When we first opened, I was going to buy myself a bottle of perfume as a treat however, I decided to spend that money on booze for the cast instead. We call it the 'School Spirit Speakeasy' (it even has a little visual created by the brilliant John Boydon!). There's gin, rum, vodka, more gin, and after a show, sometimes we all gather in my room for a little wind down as a company. Bliss! Posters are now going up across London saying that Heathers is in its "Final Weeks". Acting is such an unpredictable profession that I may not work again at all for the next few years, let alone lead a West End company, so I plan to make the absolute most of Dressing Room 10 in our final five weeks in Heathers The Musical! Just wondering have you signed the drawer - you more than deserve to. Just the fact that you were chosen to be in this room means that you deserve to not to mention your talent and kindness. Go for it! I went to see Heathers just last friday at the Haymarket and I absolutely loved it! loved every song, line and dance as well as the amazing cast. just thinking about it makes me want to go back and see it again.